A doctoral student is challenging the way Canadians perceive how Chinese immigrants in the Lower Mainland adjust to life in English-speaking countries, particularly in terms of psychological and behavioural changes. Yidan Zhu, a Ph.D student in the Department of Leadership, Higher and Adult Education at Ontario Institute for Studies in Education (OISE) at University of Toronto, participated in a recent conference for the Association for Canadian Studies (ACS) and the Canadian Ethnic Studies Association. “The purpose of Canadian immigration policy has been shifted from long-term nation-building to short-term economic development,” says Zhu. Working on an ethnography, in an immigration settlement organization in Vancouver, Zhu’s goal is to raise questions about the integration or adjustment process of Chinese immigrants in Canada; and highlight the unequal social and power relations in their daily lives in Canada. Zhu is critical of the four-stage process of cultural adjustment for international students in English-speaking countries. “[Cultural adjustment should be understood as a] complex psychological and social activity that significantly impacts students’ identity construction, career choice and language learning practice,” says Zhu. Her research also looks into how Chinese immigrants, as adult learners, reconstruct their identities; reorient to adopt Western values, knowledge and skills; and learn English as a second language through their practices with the local and global society. Zhu’s research also looks into how they relocate to pursue knowledge, adapt the cultural gaps and produce their own knowledge in the multicultural and multilingual society of Canada. “By examining Chinese immigrants’ embodied experiences with Canadian local society, such as walking, cycling, traveling activities, etc, I will try to understand the interaction among new immigrants’ identity construction, language learning and embodied practices in a global and transnational context,” says Zhu. She notes the patterns have changed in terms of the Chinese adaptation in Canada and varies from temporal-spatial to economic patterns. “In the temporal-spatial pattern, the changing Chinese communities or neighbourhoods in Greater Vancouver that offer spaces for newcomers’ settlement practice become the major issue,” says Zhu. 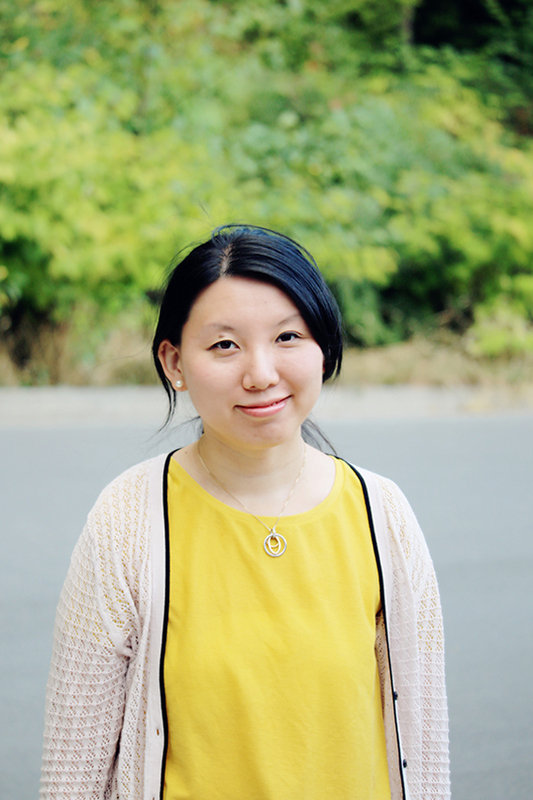 She focuses on the South Vancouver Neighborhood House, which provides settlement and learning short-term programs for Chinese newcomers. After several weeks, Zhu says, they move on. One example of how Chinese adapt to Canadian life is in the change of diet. Most Chinese immigrants don’t really like western-style food, so during the identity reconstruction process they start to learn western-style eating habits. They not only change their eating style, but also their lifestyle in order to integrate to the local neighborhood. During her fieldwork, she found many Chinese newcomers changed their living style in order to become a “good neighbor” in the community, such as cleaning their backyard and recycling the garbage. Zhu feels how Chinese make adjustments through psychological cultural practises is not a step-by-step or linear process. “It could be understood as a “negotiating” process. In terms of psychological and cultural adjustment, I think one of the most important things is identity (re)construction,” says Zhu. Zhu says Chinese newcomers have to think about their identity, where home is, and what their purpose is in settling in Canada. “These questions may lead an identity reconstructing process that will largely interact with Chinese newcomers’ everyday lives in Canada,” says Zhu. She hopes her studies could provide policy makers or the multi-level governments’ references to rethink their multicultural policies by taking a standpoint from Chinese newcomers, international students, migrant workers or Chinese-Canadians.